I like unique items and they have some interesting mugs. It would be hard to choose. First, I'm a coffee lover and get really excited about coffee! But I am particularly excited about the Polmedia! Such beautiful items! I'd love to win the 40 Count Box of KCups, I love my Keurig and coffee in the morning. Oh, the coffee! I'm addicted! I'm excited to win the KCups. My husband needs to drink more coffee at home instead of at fivebucks. I am interested in everything. It's way too hard to pick just one. I'm really excited about the Kcups. My family and I drink lots of coffee and I'd like to try this brand. The pottery is nice, but I'm most excited about the coffee. I'm a coffee freak. I would like to win the Kcups. My friend drinks enough of them and time to spread some Fall love! im most excited about the pottery gc.. i love handmade pottery, especially mugs! but i really want a yarn bowl! Mega Coffee Sampler 40 Count Box of KCups from Two Rivers Coffee! 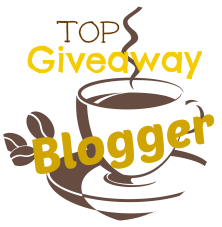 I am crazy about coffee..in fact my husband is as well...This would be so exciting to win! I'd love to try the Coney Island Caramel coffee! 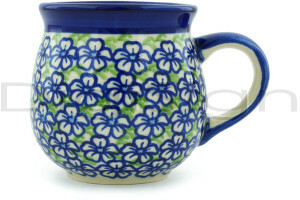 I am most excited about the gift certificate to purchase polish pottery because I have been collecting it for years now! I love coffee but that mug is beautiful, I want it!!! I would like to try the Columbian coffee. We're really excited about winning the coffee! We drink lots in our household! As a self proclaimed coffee addict, winning the coffee would be amazing! I'm most excited about the pottery gift card. They have some really beautiful pieces. I think I'm most excited about the coffee. Love variety packs with different flavors, but the pottery would be awesome too. I'd like to try the Corner Donut Shop coffee flavor. I am very excited for the K cups! I love coffee and I go through them really quick so this would be awesome! My dad is from Poland, so I'm excited about the $25 Gift Certificate for Polmedia Polish Pottery! I would love to try Vanilla Skyline. I'm a Vanilla coffee freak. I love the colorful coffee cups.